A good sized back garden is an asset to any property and can be used for a multitude of reasons including growing plants & keeping livestock. Livestock within reason, that is; we don’t suggest you pop out to the local cattle market and head home with a dozen merino sheep, a herd of Angus cattle & two pot-bellied pigs unless you have a substantial amount of acreage. There are smaller & more sensible options if you like the idea of having your own animal products. We kept chickens until recently when we lost them to a fox strike. The chicken keeping experience was rewarding with the girls enriching our lives becoming little characters in their own right as well as prolific egg layers. It is worth doing some research before considering chickens so they may live comfortably and happily alongside their humans. 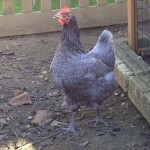 Firstly chickens need a good home. It need not be expensive but it is important to consider the size of the chickens in relation to their accommodation. When we looked for a coop, we considered purchasing online where there was a good range of cheap hen houses. We settled on one in principle but visited a local poultry seller locally before the final decision – and it was just as well. The size shown in the photograph was deceptive and the poultry seller had purchased a similar version to demonstrate its unsuitability. Whilst there is no need to take out a mortgage to buy a hen house, something too cheap would not provide adequate shelter. Our poor girls would have been cramped and uncomfortable had we proceeded with the first choice. We ultimately bought from eBay having checked the potential new hen house first, paying careful attention to dimensions and fox proofing. It came flat packed but was easy to build and had a run attached. 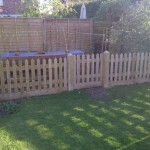 To finish, we put a fence around to give the chickens a good sized area to scratch around in. Chickens are surprisingly easy to keep. We cleaned our coop every 3/4 days which took about 10 minutes. Once cleaned mite powder was sprinkled into the corners and on the perches. We changed food and water every few days and the chickens often enjoyed our left over vegetables and grass clippings. They were also partial to a handful of porridge oats as their daily treat. Chickens are very sociable and ours squatted down for a stroke whenever we entered the run. They were friendly enough to tolerate being picked up & cuddled by children. Chickens, like other animals occasionally get sick. Some illnesses are treatable at home but others need intervention. When our Columbian black tail chicken was poorly we consulted the vet who prescribed antibiotics but they did not work and we ultimately lost her. However, the two surviving chickens, Lulu & Doris thrived and lived long, happy lives. When they were older and their laying diminished, they were joined by two legbars (Cream & Daphne) who took on the main egg laying responsibility while the other two became well-loved pets. 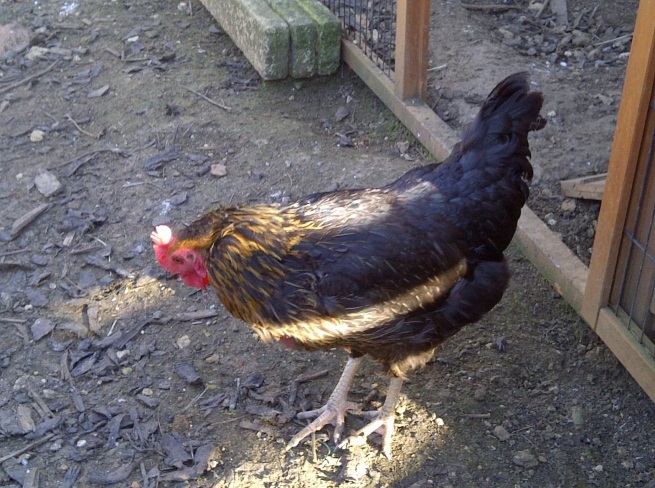 If chicken keeping appeals, try a local poultry stockist like Fosters of Quedgeley or consider re-homing an ex-battery hen through the British Hen Welfare Trust. There has been a dramatic decline in the number of bees over the course of the last few years, not just in this country but throughout the world, which is a worthy reason to consider keeping them in your back garden providing the neighbours have been consulted and don’t have any major objections. As natural pollinators, bees are a gardener’s friend and are naturally interesting to observe in their own right. They produce delicious honey and provide beeswax for polishing furniture or making candles. Whilst beekeeping sounds like an interesting hobby with relatively cheap start-up costs, we have yet to attempt it in our garden. It is something to consider in the future, subject to approval from the neighbours. A good starting point for would-be bee keeper is to visit the website of the local branch of the Beekeepers Association for advice & help on how to get started. Whether you opt for the birds or the bees (or something larger), keeping animals is a productive and rewarding experience. Relaxing by the hen house, listening to the soft chirruping of chickens is a great stress buster after a tough day. Copyright © 2019 The Cotswold Mortgage Broker Ltd. Powered by WordPress and Alétheia.